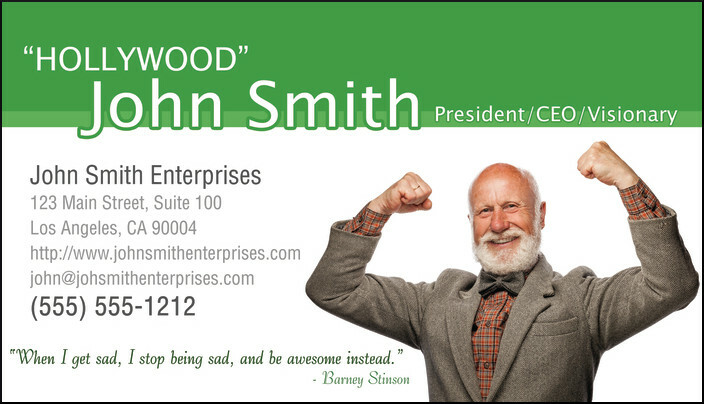 When you hand me your business card, I expect to see your name and your contact information. That's it. That is the purpose of a business card. It serves as a reminder of your name and a means by which to contact you. If your business card is glossy and contains an image of you or anything else other than your contact info, I can't help but think that you don't know what you're doing. That you're trying way too hard. That you lack savvy and professionalism. This rule applies to musicians, actors, authors, and other performers, who seem to specialize in the glossy color photo business card. This is the one exception, of course.